Large banks have become synonymous with the words ‘scandal’, and ‘manipulation’ in recent years. Since the emergence of the Global Financial Crisis in 2007/08, several large banks were discovered to be committing large-scale malpractice, fraud or miss-selling of financial products — for the purpose of reducing costs and raising profits. 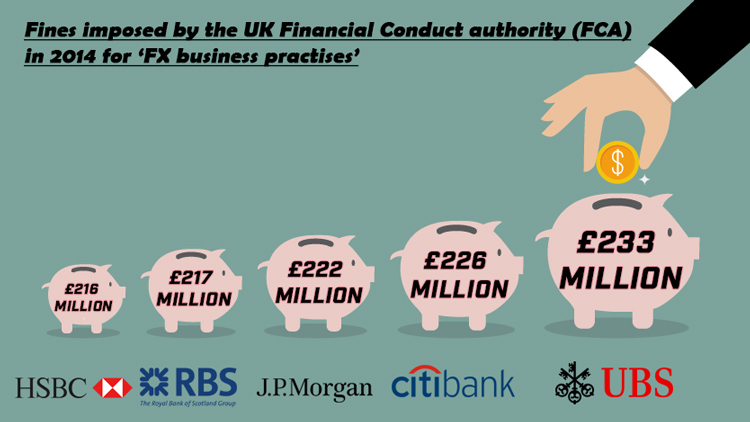 Since 2008, the activities for the UK’s five largest banks alone, have led to over £25 billion in fines levied upon them by various regulatory agencies around the world including the UK’s very own Financial Conduct Authority (FCA). The exact nature of the banks’ wrongdoing is wide-ranging and multifaceted which has led to an unprecedented level of intra-national co-operation between the worlds’ financial regulatory authorities such as the FCA, NFA, CFTC, ASIC, BoJ, FinMin and BaFin. Please note this content is for informational purposes only and may not constitute as legal advice. The information provided here is based on online research. If any mistake has been made, please let us know over the comment section. Duncan Lawrie has been hit by occasional instances where some individual accounts were hacked into. In addition, Duncan Lawrie has been known to provide personalised banking services to many people who had been engaged in LIBOR rate-fixing activities in the past. The bank has not been found to be directly involved or responsible for any of the actions that some of its members have engaged in though. From the dozens of available asset classes available to investors, banks were found to be taking part in illegal activities in some more than others. Client reporting, residential mortgages, loan securitisations and rate setting were the four areas banks were least compliant, according to regulators. Regardless of the territory, there’s been a bank conducting some form of malfeasance there over the past decade — and the worrying thing — is that banks’ behaviour has not changed in any meaningful way to curb the level of market abuse and manipulation. 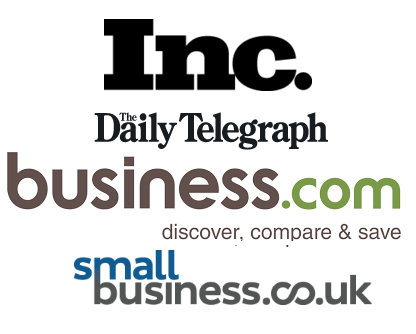 Banks have been embroiled in several market sectors when conducting their market abuse. Of the officially confirmed abuses, the following asset classes/markets were confirmed to have been severely impaired by banks’ behaviour. All of the above asset classes have been used by banks to either reduce the level of operational cost(s) or to market-make markets in their favour for preferential pricing and fees. Here are the highlights of the past decades’ market abuses, as claimed by regulatory agencies. Barclays and Citigroup were the hardest hit from a regulatory backlash perspective although both banks continue to operate thriving FX businesses to this day. Additional information on the FCA fines and activity may be found on our FCA page. The CFTC cites how “banks failed to adequately assess the risks associated with their FX traders participating in the fixing of certain FX benchmark rates and lacked adequate internal controls in order to prevent improper communications by traders.” The worst hit bank from the synchronised FX-rigging regulatory backlash in 2014 was UBS, reaping in excess of $800 million in fines. The Swiss giant is the only bank to be fined by three separate regulators in three different countries in a single day. FINMA found that over an extended period of time the bank’s employees in Zurich attempted to manipulate foreign exchange benchmarks. In addition, employees acted against the interests of their clients. For these indiscretions, FINMA fined UBS 134 million Swiss francs in confiscation of costs avoided and profits. in individual cases engaged in deception regarding sales mark ups and excessive mark ups associated with an internal product of the bank. Several large top-tier banks consequently beefed up their litigation war chests, although the nominal value of the fines levied remains disproportionally small compared to the market impact of their abusive market activities. In recent announcements, top-tier banks such as UBS, Barclays, Deutsche, HSBC and Citigroup have all reported increases in their litigation allocations and have warned shareholders that litigation costs will remain elevated at best for the foreseeable future given the range of manipulation and malpractice cases that have hit the largest banks over the past five years. Various banks have been penalised for mortgage market malpractices, interest rate derivative fixing and LIBOR manipulation, just a few examples of penalties applied in response to widespread impropriety found to be occurring at Tier 1 banks. One of the biggest debacles during (and since) the GFC has been Mortgages — otherwise known as mortgage-backed securities (MBS). Sometime after the GFC, it was discovered that prior to 2007, many of the world’s largest banks had been using sophisticated securitisation methods to package junk-level debt into AAA-rated securities comparable to US Treasuries. This imbalance was rubber stamped by credit ratings agencies and the newly-created sub-prime ‘toxic’ assets were presented as clean, wholesome investments investors had little risk of losing their money on. The reality was that these investments were in fact of low value, and when markets priced in the discounts, it was clear that hundreds of billions of dollars were in fact misspent/miss-invested which led to an inevitable rush for the exits and large-scale losses/drawdowns across the investment community. Both Goldman Sachs and Morgan Stanley — stalwart names in the US banking industry — were forced to become deposit-taking institutions simply to remain solvent. The major consequence of the sub-prime debt bubble was the GFC itself, because of the deep interconnected nature of modern markets. Iceland’s government was forced to default on many of its obligations because of the liabilities its domestic banks had racked up in league with US and UK counterparties. Bank of America was forced to pay a record $16.7bn (£10bn) to settle allegations that it misled investors into buying toxic mortgage securities. The bank said the “claims relate primarily to conduct that occurred at Countrywide and Merrill Lynch” before it acquired them during the height of the financial crisis in 2008. In February 2012, Citigroup was one of many banks that agreed to pay billions of dollars to settle charges brought by the US authorities over claims they used abusive methods to foreclose on homeowners hit by the bursting of the country’s property bubble. The agreement saw the banks pay $5bn directly to states in the form of cash fines, $17bn of debt written-off and a further $3bn in lower interest rates to homeowners. JP Morgan also paid $5.29 billion under the February 2012 foreclosures settlement, while another US bank, Wells Fargo, paid $5.35 billion. In October 2013, JP Morgan reached a $13bn deal with US regulators to settle claims that it miss-sold bundles of toxic mortgage debt to investors in the build up to the financial crisis. The largest single fine for any one bank in history — was the $1.9 billion fine levied on HSBC in 2012 for failing to comply with anti-money laundering regulations. HSBC paid almost $2 billion to settle allegations that its failure to enforce anti-money laundering rules left America’s financial system exposed to drug cartels. Unconfirmed reports at the time suggested HSBC was actually aware and complicit in helping money sourced from international criminal activity to be funnelled through its network of banks across South America, Africa and Asia. In yet another case of confirmed malpractice affecting thousands of clients, Barclays Bank was fined £37.75 million by the Financial Conduct Authority (FCA) in 2014 for failing to properly protect clients’ custody assets worth £16.5 billion. The FCA’s fine was the largest of its kind relating to custody assets. According to the FCA investigation, clients risked “incurring extra costs, lengthy delays or losing their assets if Barclays had become insolvent,” spanning 95 custody accounts in 21 countries. The FCA identified “significant weaknesses” in how the bank carried out financial services in the ‘Barclays Investment Banking Division’ between November 2007 and January 2012 – a period of history dominated by the global financial crisis. Appropriate management and real-time accounting of custody assets is often difficult due to liquidity availability and the complexity involved in managing a $16 billion of assets spread across multiple asset classes including property and fine art. The lack of price certainty for some assets was a factor in exacerbating the global financial crisis as market participants were unable to accurately see the true value of their portfolios. Amidst fear, panic and market volatility many market participants preferred to sell at the first rate available which in turn fuelled a negative spiral of declining asset prices, more selling and more asset price declines. In 2008 and since, the FCA has communicated on multiple occasions its view of the importance of safeguarding client assets for the good of the bank itself, the wider banking industry and the British economy. According to the FCA, Barclays did not accurately reflect ownership links within its Investment Banking Division and failed to establish legal agreements on many assets held there. In a further egg-on-face moment, Barclays was found to have claimed ownership rights to assets that actually belonged to clients. As is often the case with brand damaging regulatory penalties, Barclays Bank opted for the FCA’s early-settlement option and qualified for a 30% discount on the fine, saving the bank over £15 million. The full list of defendants in the case consists of major banking institutions: Bank of America; Barclays Bank; Citigroup Inc; Deutsche Bank; BNP Paribas; HSBC Holdings; Royal Bank of Scotland Group; Credit Suisse Group; UBS; Goldman Sachs; Nomura Holdings; Wells Fargo and JPMorgan Chase. In revelations that have an eerie resemblance to the LIBOR fixing scandal, staff working for the 13 accused banks allegedly “communicated via private chat rooms” and “used digital communications to “submit identical quotes beginning at least in 2009”, according to an official statement from the AEPF. Also included in the court case is ICAP Plc, a UK-based broker-dealer clearing over $1.3 trillion in daily transactions. It is alleged that ICAP helped facilitate the manipulation of ISDAfix rates given the company’s prominent and dominant position in clearing transactions in the interest-rate derivatives markets. Recorded telephone calls and e-mails reviewed by the Commodity Futures Trading Commission (CFTC) show that traders at the thirteen banks instructed ICAP brokers to buy or sell as many interest-rate swaps as necessary to move ISDAfix to a predetermined level. AEPF alleges that banks often kept rates artificially low, allowing them to generate substantial profits trading ‘swaptions’ – interest derivatives linked to ISDAfix rates. Deutsche Bank was fined £5 million for misreporting CFD transactions for almost 5 years between November 2007 and April 2013. Mr. Kai Lew, a Director of Institutional FX at Deutsche, was suspended as part of a manipulation investigation in April 2014. Libor, the London inter-bank lending rate, is considered to be one of the most important interest rates in finance, upon which trillions of financial contracts are based on. The LIBOR scandal was the largest in terms of magnitude, and yet the effect on financial markets was felt the least because of its institutional effect. LIBOR is generally used by financial intermediaries, for the purpose of setting short-term lending rates. Individuals borrowing money to buy a home would also use LIBOR but the impact on the homeowner is vastly smaller compared to an institution borrowing/lending capital on a daily basis. Swiss bank Credit Suisse agreed to pay a $2.6bn fine in May 2014 over allegations that it helped some of its US clients avoid paying taxes. In June 2014, BNP Paribas admitted to processing thousands of transactions through the US financial system on behalf of bodies in Iran, Cuba and Sudan, landing the French bank with an $8.9bn (£5.2bn) fine and leading to the departure of more than a dozen senior employees. Have Banks learnt their lesson? To date, not a single employee of any firm has been charged with a criminal offence relating to price fixing of any market, despite dozens of confirmed cases of market manipulation between multiple banks involving dozens of individuals. The effectiveness of ratings agencies and regulators seems to be minimal despite growing powers to regulate and restrict abusive market activity, including large fines. The regulators are either not effective enough or the bankers are too effective. Or in other words, either the regulators are not good enough at their jobs, or the banks are just too good at theirs for lawful business practise to predominate. Gargantuan banks and financial intermediaries remain largely unaccountable and beyond the reach of UK law when it comes to being penalised for wrongdoing, while their overall size and market dominance continue to grow year-on-year, in-line with investor expectations. Prior to the 2008 banking crisis, UK banks were only lightly regulated. Since on a global scale only minor regulations were enforced on banks, the regulators worried that banks would simply move abroad if they were too harsh. Like any other UK business, banks were subject to regulation by the OFT and the Competition Commission (now the Competition and Markets Authority). In addition, the Financial Services Authority (FSA), the Bank Of England, and the HM Treasury, all oversaw financial institutions. In 2013, the system was revamped. The FSA was replaced by the Prudential Regulation Authority (PRA), which is part of the Bank Of England, and the Financial Conduct Authority (FCA). In addition, the European Banking Authority (EBA) keeps track of the strength of UK and other European banks. Money transfer scams are usually commissioned to law authorities rather than regulators. PRA: Prudential regulation of +-1700 financial services institutions, in order to maintain stability. FCA: The watchdog that ensures competition is maintained, and that the conduct of firms in the market meet legislative standards. EBA: Conducts regular stress tests, to determine how banks would fare in potential crises. UK banks have recently been subjected to “ring-fencing”, which forces banks to separate retail banking from riskier financial ventures. This is so that taxpayers don’t end up paying in the event of a collapse. Ring-fencing requires both sectors (retail and investment) to hold equal importance, which many banks are finding onerous. Sir David Walker, the former chairman of Barclays, insists that ring-fencing regulations are redundant and uniquely British, which will force banks to relocate. Banks will spend an initial £200 million to implement the reforms, and £120 million on extra staff requirements. The ring-fencing reforms themselves will cost banks billions of pounds to maintain. Banks are regularly inspected by the FCA, and in the case of non-compliance, the FCA has the power to ban financial products for up to a year while considering an indefinite ban. The regularity of inspections depends on how disastrous a firm’s failure would be. P1 firms are firms whose failure would cause lasting damage to their clients and the marketplace. They are inspected once a year. P2 firms are firms whose failure would cause significant damage which is, however, relatively easy to deal with. They are inspected once every two years. P3 firms are firms whose failure would not cause much damage to clients or the market, and are only supervised on a reactive basis. UK banks are allowed to accept international clients. However, there are stipulations attached. Many banks do not take on non-residents, because of the strict regulations. If the client is in the UK for over 6 months, it is far easier to set up a UK bank account. The client will be required to have extensive documentation, as the banks are wary of international scams.